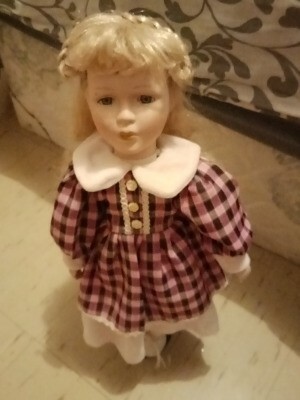 I have a few porcelain dolls that were passed down from a family member and I don't know anything about them. The number F90056A is on the back of her neck. I would like help finding the name, where she was made, and current value. There are doll books that might be at your local library that you could check out, too.